Check out guidelines for the Atmospheric Steam Canner! 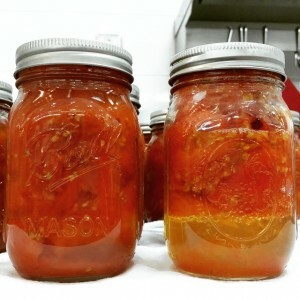 A steam Canner can be used to safely process home canned foods such as peaches, pears and apples or acidified-foods like salsas or pickles – as long as the approved guidelines are followed and a tested recipe is used. Click here for the Atmospheric Steam Canner guidelines. 1. Start with Research-Tested Recipe. This means that the final product has been tested to be safe for you and your family, as long as you have properly followed the recipe. 2. Use up-to-date Recipes. Canning recommendations change, so it is important to stay up to date. 3. Start with Equipment that is in Working Condition. Get your pressure canner lid tested at your local UW-Extension Office at the start of every canning season. Call the Oneida County UW-Extension Office to make an appointment (715) 365-2750. 4. Assemble Jars, Lids and Other Equipment. Use only tested and approved equipment for home canning. 5. Leave Creativity Behind. Follow up-to-date, research tested recipes to ensure safety. For Food Safety and Preservation questions call Family Living Educator, Sara Richie, at (715) 365-2750. Safe and Healthy: Preserving Food at Home – Tips, tricks, and frequently asked questions about preserving food. Also available for individual purchase at the Oneida County UW-Extension Office. For Food Safety and Preservation call Family Living Educator, Sara Richie at (715) 365-2750.